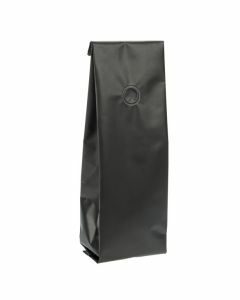 What is unique about coffee bags is that they are designed with a one-way degassing valve to prevent outside air from entering the bag. 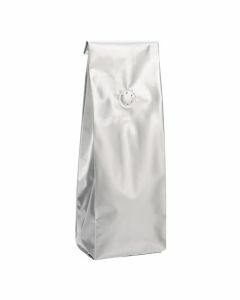 Ideal for coffee and teas, high barrier foil pouches work great for any product that needs protection from moisture and oxygen. 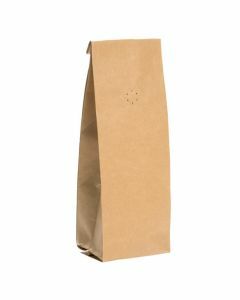 Foods with active ingredients such as yeast and cultures are an excellent choice for these durable, bottom-sealed bags. 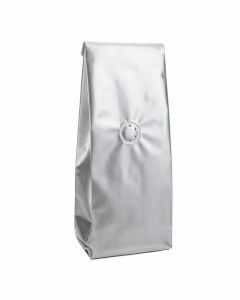 An inner aluminum layer provides a moisture, air, and odor barrier to keep baked goods, coffee, and teas from getting stale. Seal in freshness with a standard heat sealer or a double-wire, adhesive tin tie. 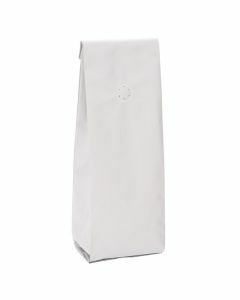 Available in Kraft, Matte White, Matte Black, and Silver in 6-10 oz and 12 -16 sizes. This item has limited availability at this time. Please contact us for large orders, alternative products or to place a backorder. 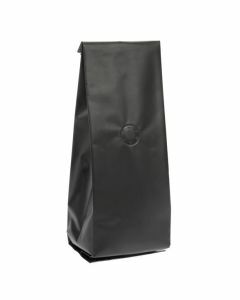 This SGC2BM Coffee Bag in Matte Black offers a packaging solution for long-lasting, flavorful coffee. 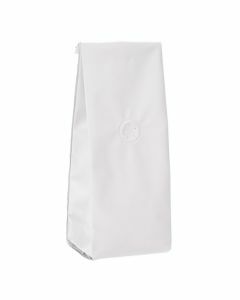 One-way valves are designed to vent gas and trapped air while preventing external air from entering the bag. 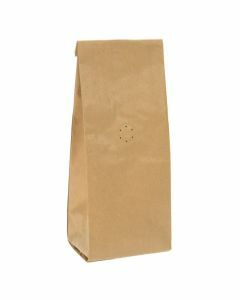 Package whole coffee beans, ground coffee, tea, and specialty food items. A high barrier blocks out moisture and air. Heat sealable.